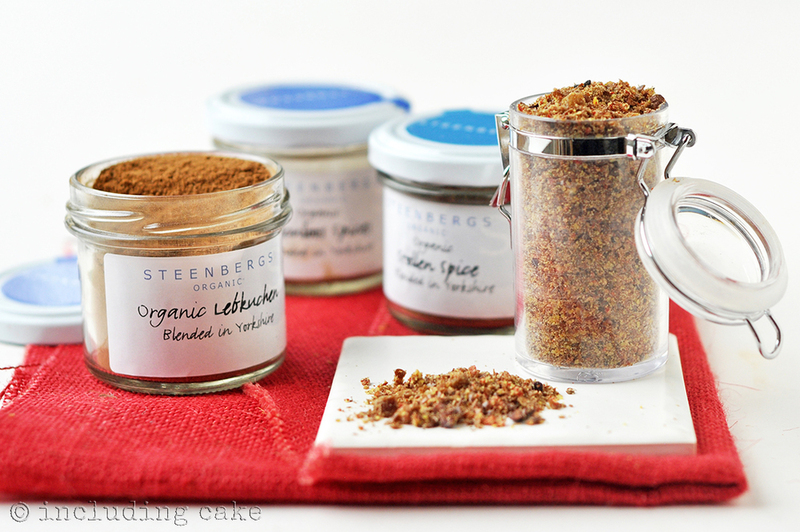 Festive flax blend... the ultimate topping! I love to keep 'toppings' on hand... simple blends to throw on my porridge, or yoghurt, or in a smoothie, or in cookies mix... or savoury options are great for a salad or a veggie bake. You'll remember a month or so back I had some samples of goodies sent to be by the lovely folks at Steenbergs, a UK company who's products I love and order regularly. A couple of months ago they launched some beautiful Christmas spices, delicate blends with subtle flavour variations, and were kind enough to send me some to try out. I have been having fun adding them to my porridge in place of cinnamon, and also over stewed apple and other fruits. I also made my Wholeplus Christmas Stollen flavour using their blend along with their dried lemon peel. I decided a new winter porridge topping blend full of festive spice was in order and so whipped up this little number. All you need is a food processor or grinder and you'll have your very own blend ready to go! Ideally keep your blend in the fridge for best flavour and freshness (nuts and seeds can easily go rancid when ground due to exposed surface are) they'll keep fine in the fridge for a three months or so. I used whole linseed and ground it before adding other ingredients, otherwise use pre-ground flax. Add all ingredients to your processor and ground until coarse (or to desired texture). Store in an airtight container in the fridge. Nutty chocolate truffles... the perfect last minute christmas treats and gifts! Grain-free almond mince pies... with sugar-free mincemeat filling!